The Surface Pro 4 was well received by users, but it's high time we had a new version of it - presumably called Surface Pro 5. Microsoft's first Surface Book - indeed its first self-made laptop full stop - was unveiled in October 2015, almost out of the blue. And recently we've had the Surface Laptop. Unlike the Surface Book, there's no tablet bit. And hot on the heels of its recent education and software development events, Microsoft is known to be holding another Surface event on 23 May in Shanghai where the Surface Pro 5 is expected to appear. The latest #MicrosoftEvent is reportedly taking place at 7pm local time, or 12.00pm BST in the UK, 13.00 CEST in Europe and 4am PT/7am ET in the US. The event may be being held in China for a reason; there could possibly be some hardware specific to China in addition to a global announcement or two. We know it's about Surface because Microsoft's Surface lead Panos Panay said "see you in Shanghai" on Instagram. Both the new Windows 10 update and the arrival of Intel's next-generation Kaby Lake processors suggest that we should have had a new Surface Pro 5 by now. It’s been 17 months since the release of the Surface Pro 4 which is the same length of time that came between that and the Surface Pro 3 release. So it seems about time for the next generation to make an appearance - the 23 May date seems legitimate, so expect more news soon. 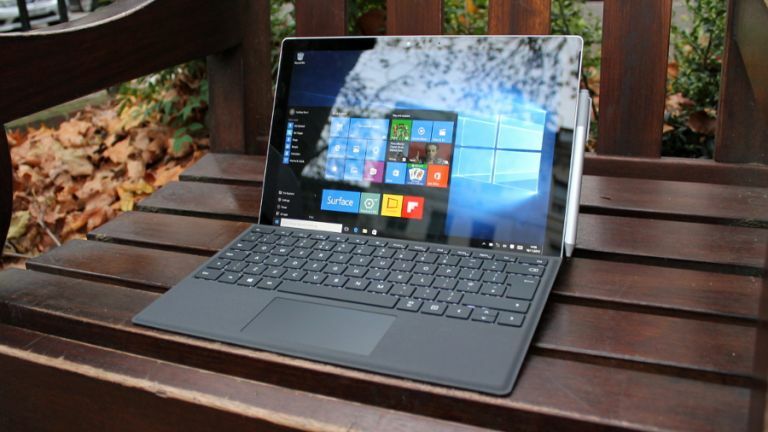 The Surface Pro series has been a hit for Microsoft, backed up by its decision to develop Windows 10 (and indeed Windows 8) as an OS that is at home in desktop or tablet modes. The Surface Pro 5 will aim to carry on and build on that success. The most recent of these devices, the rather impressive Surface Pro 4, launched in October 2015 alongside the original Surface Book. The rumours point to a similar starting price point of around $900 in the US and £750 in the UK, while a rechargeable stylus is on the cards. Battery life should be better as well, which will come as a relief to a lot of existing users - a so-so battery life level is one of the few major complaints to be levelled against the Pro 4. Aside from the latest 14nm Intel Kaby Lake CPUs, we haven't heard much in the way of specs for the Surface Pro. A 4K screen might be on the cards, and it would make sense if Microsoft upgraded the series to support the USB-C standard too. Perhaps there will be a Windows 10 S option - that would mean even better battery life thanks to it being able to use Windows Store apps only.